Your iPhone is ready for an upgrade. Proactive will help you organize your day. Time to get organized. Proactive, a new feature in iOS 9, integrates with your calendar, Siri, Spotlight search, Apple Maps, Passport and more in order to give you the information you need throughout the day. The voice assistant will continue to improve in iOS 9 and will connect with Proactive to make your life a bit easier. The new iOS is meant to be faster than iOS 8 and use less battery than before. You'll be able to get an extra hour of regular use for your iPhone with iOS 9. Running low on battery? There will even be a low-power mode that should give you an extra 3 hours of battery life, according to Apple. 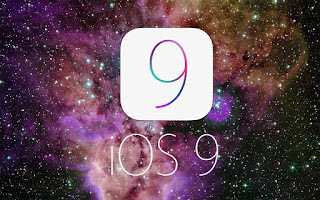 Every year, Apple releases an update to its operating system, and at the World Wide Developers Conference on Monday, the tech company announced its latest version of the iPhone and iPad's operating system: iOS 9. The update will give your iPhone a new look and new tools, and it'll prepare Apple for the next version of the iPhone, which will likely be announced this fall. iOS 9 will be available for developers starting on Monday and, for the first time, available as a public beta in July. It will eventually be available as a free upgrade for everyone in the fall, and it is compatible with all of the same devices as iOS 8. Siri has gotten 40 percent more accurate over the last year and 40 percent faster at responding, according to Apple. What was once a simple, plain place to jot your thoughts is becoming much more elegant and useful. The Notes app is adding some great features, like the ability to create a to-do list.